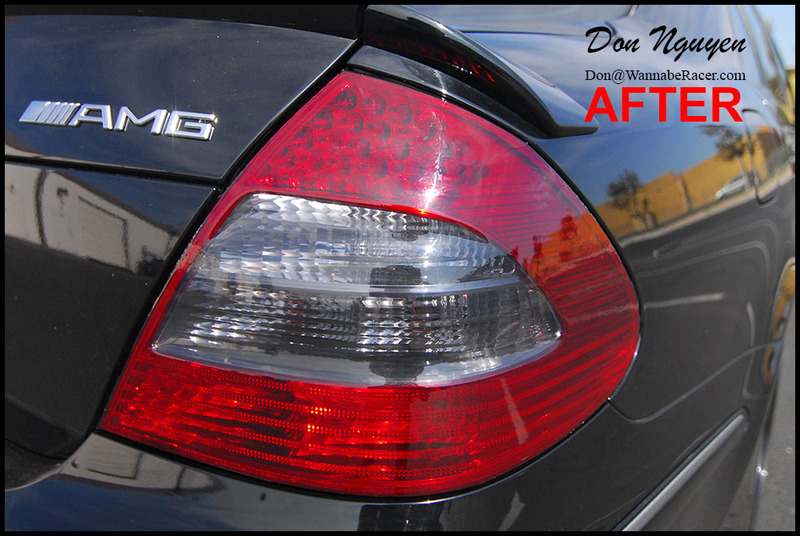 For this black Mercedes Benz E55 AMG Sedan, I lightly tinted/smoked the tail lights of the car with a vinyl film. The darker tail lights matched the darker theme of the car fairly well, with the car already having blacked out wheels, exhaust tips, etc. The film is a fairly light shade, so light output is minimally affected, unlike tail lights that are completely blacked out. The owner of this car was from around Huntington Beach I believe, and came out to me in Anaheim Hills/Orange County to have the vinyl wrap work done on his tail lights.